Im new to the scene and have a few questions. I have a small knowledge on cars and i am wondering if i need to do an engine swap for putting a turo in (when i get 1) and what would you recommend for the motor and turbo duo? 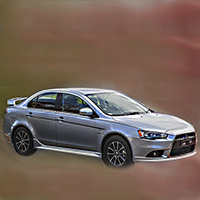 thanks in advance, my lancer is a 08 VRX manual. Re: Im new to the scene and have a few questions. You don't need a new engine. 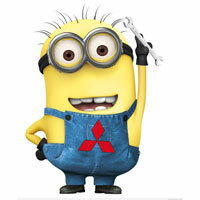 Look at getting parts from a Ralliart owner who has done a turbo swap e.g. turbo, intercooler, piping, lines, etc. Where are you located? You'll also need to find a reputable shop to do the work and possibly tune it (?). rusko110 wrote: You don't need a new engine. benyamin wrote: Being a VRX, wouldn't the block be a 2.4L 4B12? 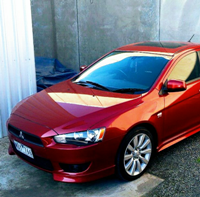 2008 model year VRX is 2.0L. But there'd be less involved ways to turbo a 4B12 rather than having to switch back to a 4B11 if the RA/Evo bits didn't directly fit. Or depending on how deep your pocket is an EVO. Patch wrote: ...But there'd be less involved ways to turbo a 4B12 rather than having to switch back to a 4B11 if the RA/Evo bits didn't directly fit. 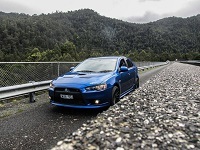 J.Smith98 wrote: ...my lancer is a 08 VRX manual. Was that built '08 an MY08 or MY09? 2.0L (4B11) or 2.4L (4B12)...? 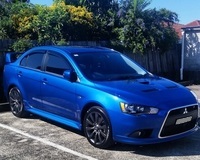 I'd second this, do light mods on your Lancer and save for a RA. Turbo goodness without the hassles of getting a conversion certified. Will probably cost less and be much safer (AWD) in the end. J.Smith98 wrote: I have a small knowledge on cars and i am wondering if i need to do an engine swap for putting a turo in (when i get 1) and what would you recommend for the motor and turbo duo? 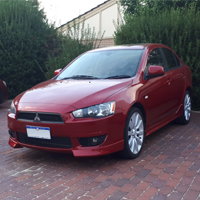 thanks in advance, my lancer is a 08 VRX manual. Better off buying a manual Evo, that way you don't have the issue of the ticking time bomb of the SST. Thanks for all the feedback and ill probably save for an evo.